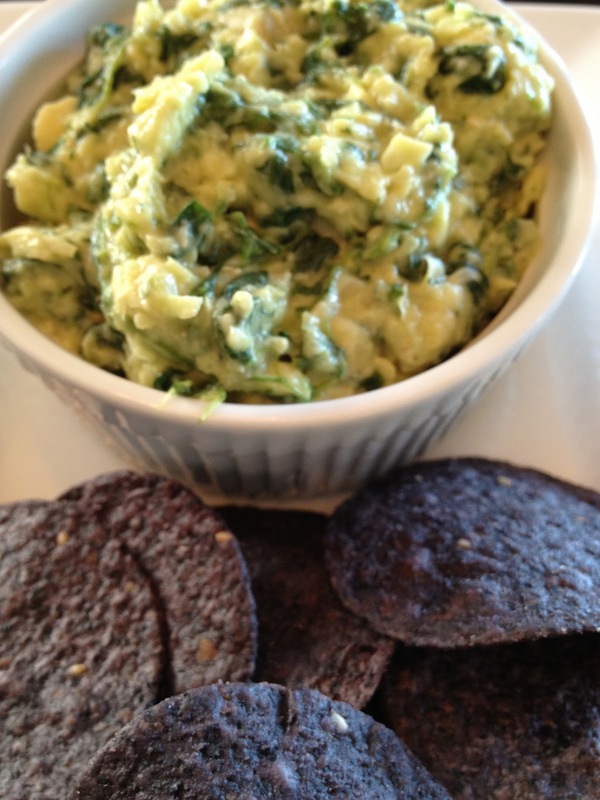 Spinach artichoke dip inspired by a recipe from Whole Foods. Great for a party! Serve room temperature (as pictured) or heat it up in a 375 oven for 25 minutes. *Soak the beans overnight and cook before making the dip. Chop the onion very small and saute in the olive oil and a dash of salt until they are translucent. Press out all of the water in the spinach and chop up the artichoke hearts. Place the beans, almond milk, lemon juice, nutritional yeast and the onions into the food processor and process until it comes together. Turn out into a mixing bowl and mix in the spinach and artichokes. Mix well. Enjoy! Made this and it was so amazing!!!! Thanks Lisa for creating this great recipe!!!! you are welcome! keep cooking!